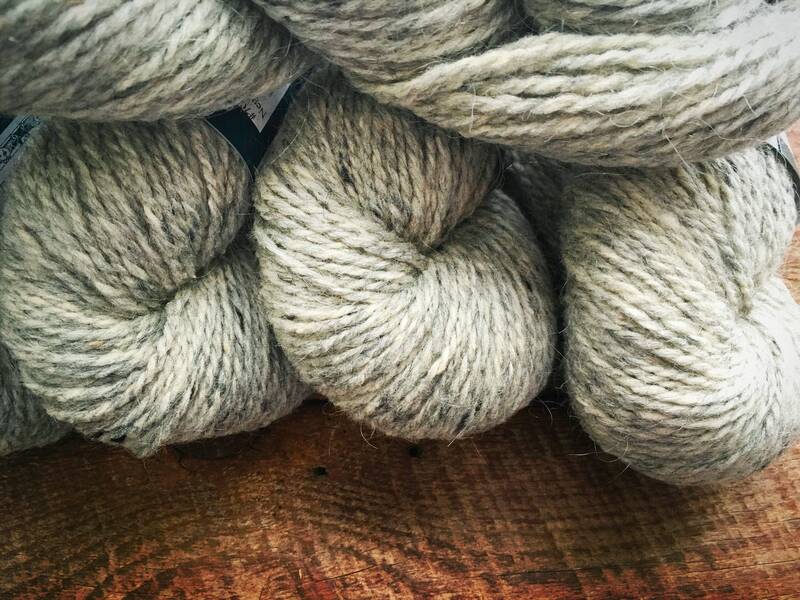 Peace Fleece has brought back the missing grey! 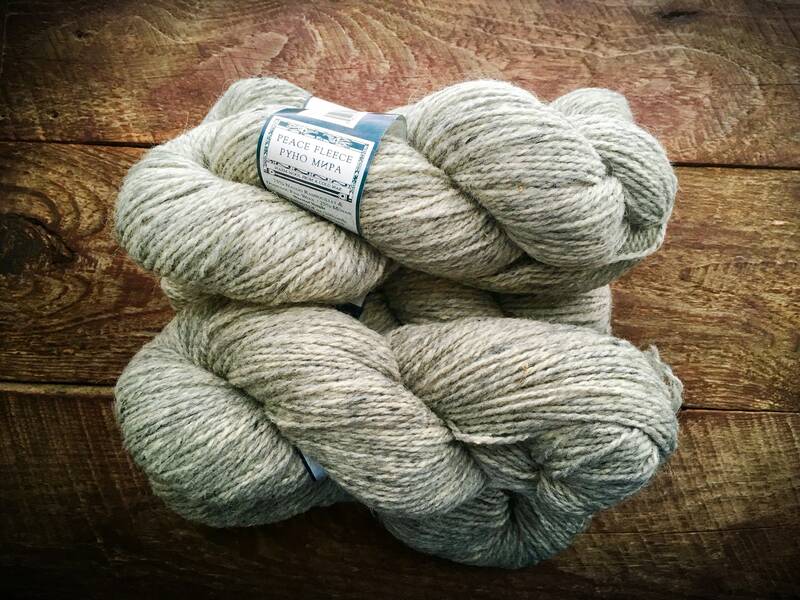 Negotiation grey is the light grey wool that I felt they needed. 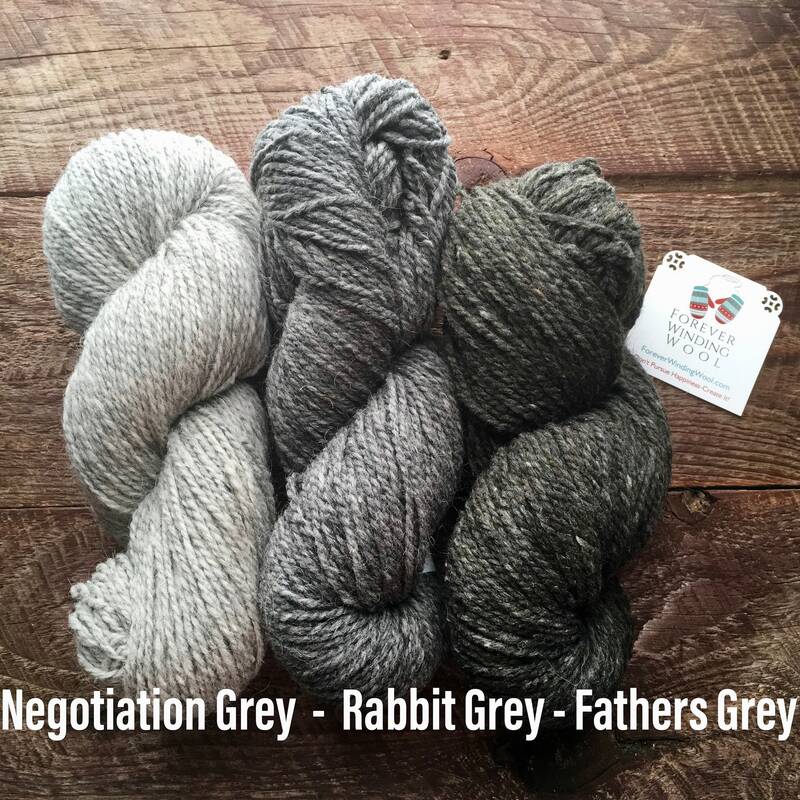 If you are doing gradient work Negotiation would be your lightest, with Rabbit Gray next and then Fathers Gray. 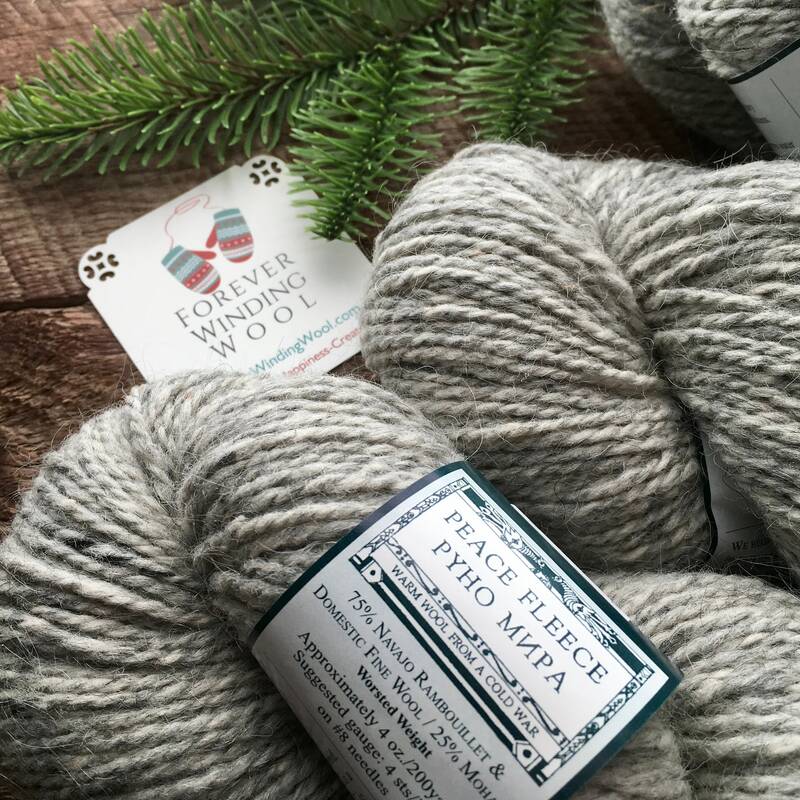 Peace Fleece is a good, sturdy working wool yarn that is very warm, perfect for sweaters or vests. 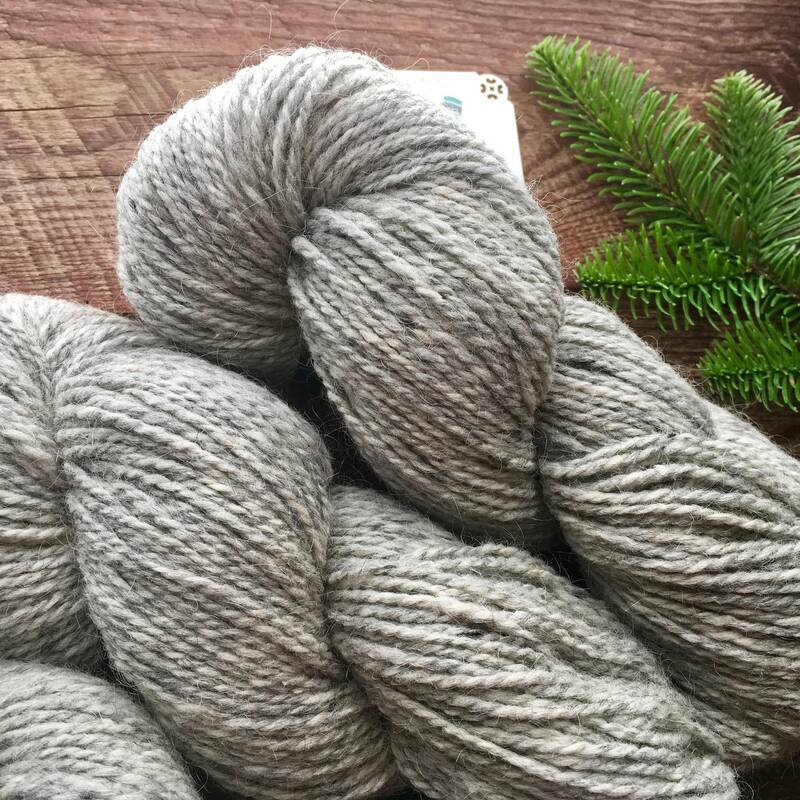 I know Peace Fleece will surprise you after you wash your project since this yarn feels stiff while knitting, but relaxes the more it is washed & worn. 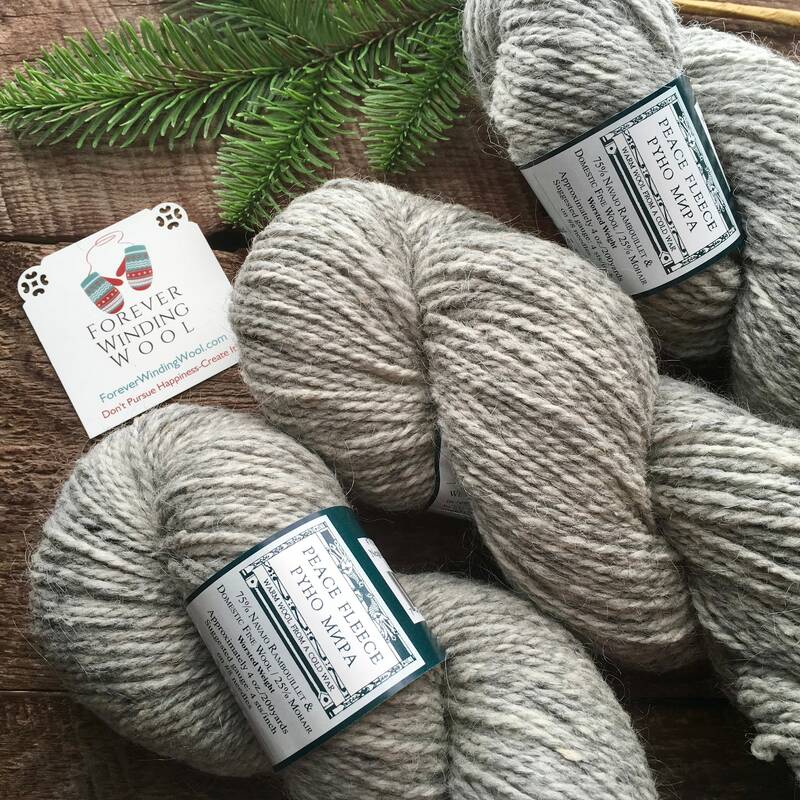 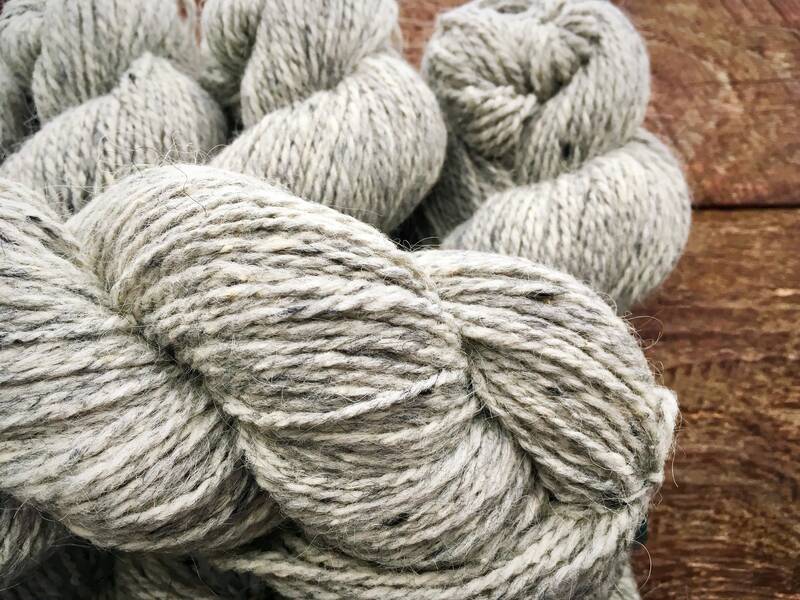 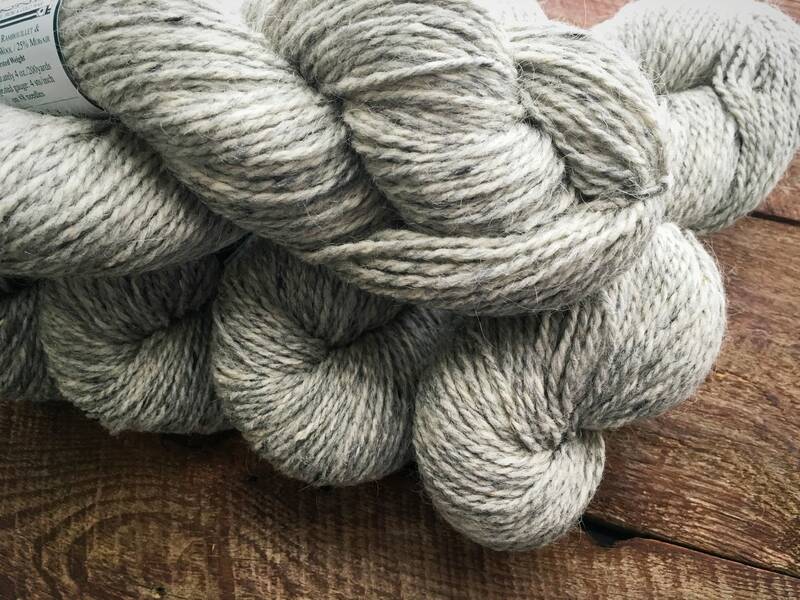 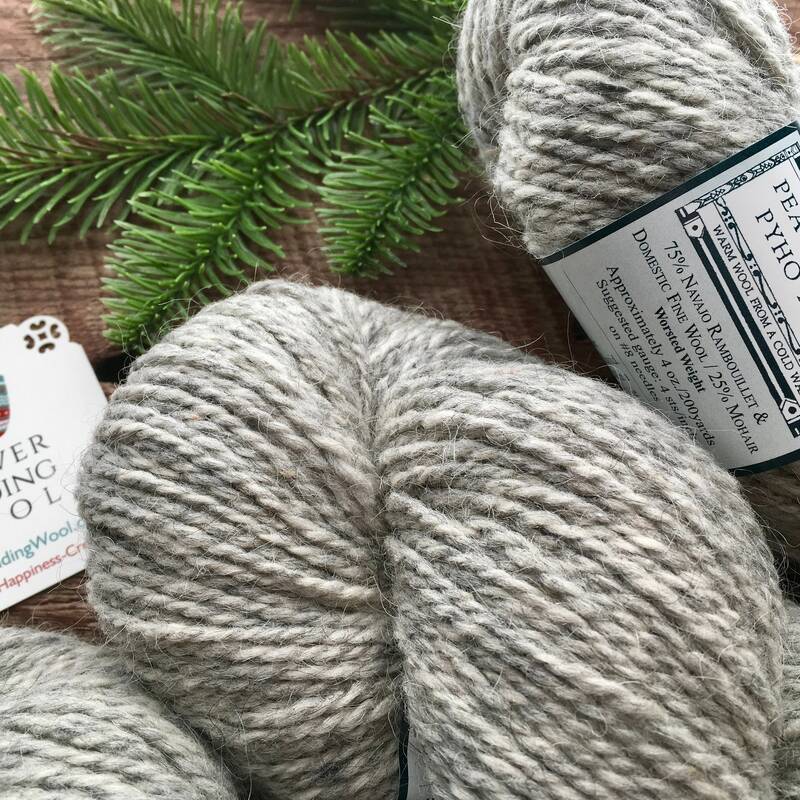 This yarn will quickly become your favorite! 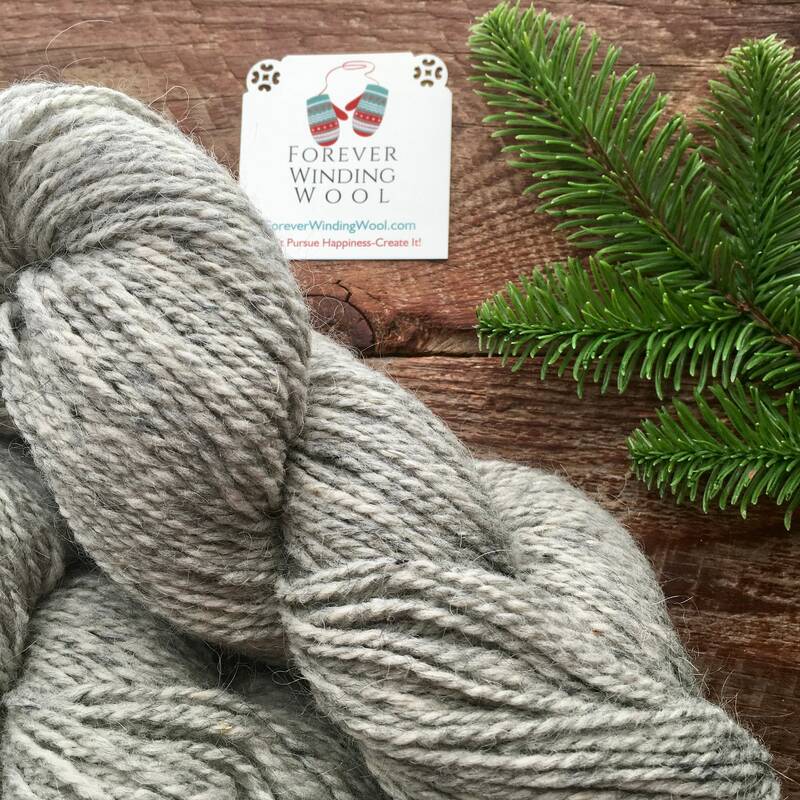 **Complies with CPSIA requirements so it will be great for the baby in your life, too.